Numerous award nominations for ÅF's Lighting team. Check out our nominations and vote for ÅF! Numerous award nominations for ÅF's Lighting team. We need your vote! Lately, the lighting designers at ÅF have received a remarkable number of nominations to prestigious awards. No fewer than five of our projects have been shortlisted for the international Darc Awards, which is voted on by lighting designers. We also have two nominations in the People Choice category of Philip’s City Light People award. This is an open competition, so please vote for ÅF - all it takes is one click! Finally, we are very excited about the fact that for the third year in a row, one of our projects is in the final for the Swedish Lighting Award, Kokpunkten - the indoor adventure water park. Please vote for our entries here! The winning projects will be announced on 25 September at an award ceremony in Helsinki. This year’s Darc award winners will be revealed at a London venue on the 24th September. Only independent lighting designers and light artist are allowed to vote in this competition. With as many as five shortlisted entries in this notable contest, this means that considerable notice for ÅF Lighting within the industry internationally. 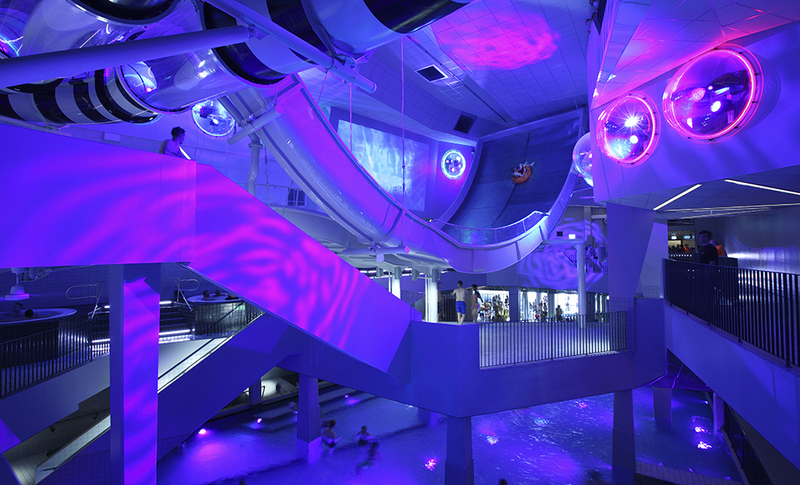 Our lighting design for the Kokpunkten indoor adventure pool is one of four finalists for the 2015 edition of the Svenska ljuspriset. The winner will be announced at the Ljusdagen event in Stockholm on the 8 September. Please keep your fingers crossed, and remember to vote for us for the People Choice Award! For more information, please Contact Allan Ruberg.